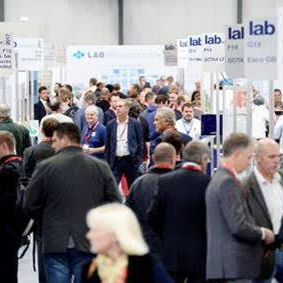 THE UK’s main trade show for the laboratory sector returns on 31 October and 1 November 2018. Lab Innovations is held at the NEC, Birmingham, and includes an exhibition of products and services as well as lectures and seminars. It encompasses a range of laboratory-related industries including life sciences, materials science, petrochemicals, pharmaceuticals, and food and drink. Exhibitors include many big names in the lab sector, with Eppendorf, Perkin Elmer, Shimadzu, SLS, Thermo Fisher Scientific, and VWR among them. The event is free to attend but parking at the NEC is paid for (and quite expensive). The Royal Society of Chemistry will host a lecture series in its dedicated theatre, and UK magazine Laboratory News will be organising the presentations in the Insights and Innovations theatre. The Sustainable Laboratory – an area to highlight environmentally-friendly products and sustainability initiatives in the lab. The Cleanroom Pavilion – focusing on cleanroom technology. The SLS pavilion for SLS, the UK’s largest independent supplier of laboratory equipment, chemicals and consumables.